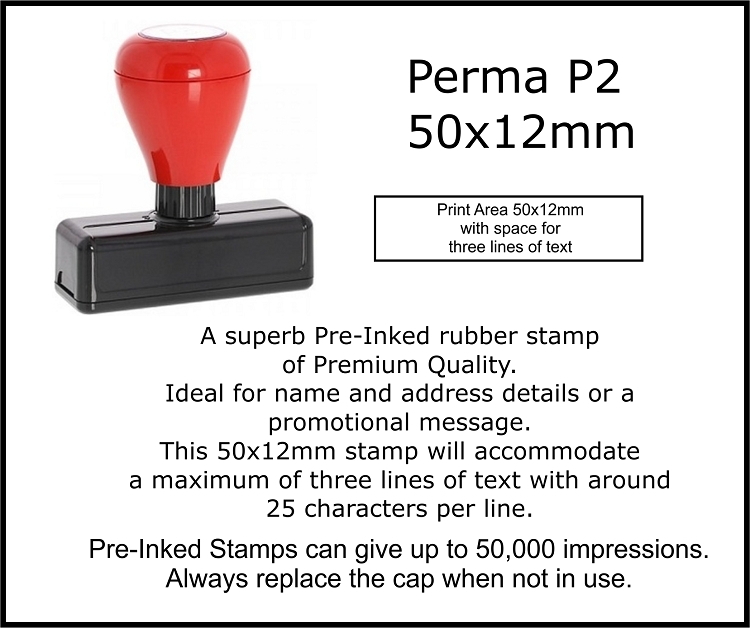 This is the very popular Perma Pre Inked Custom Rubber Stamp. These premium stamps can provide up to 50,000 impressions before refreshing is required. 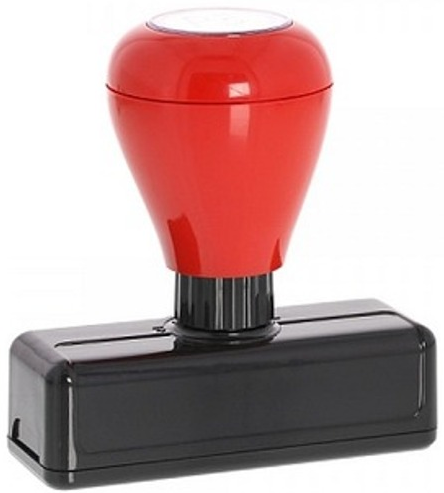 Simply remove the protective cover and the stamp is ready to print. Replace the cover after use to prolong the life of your stamp. You can order this stamp with text, logo's and border with no additional cost.